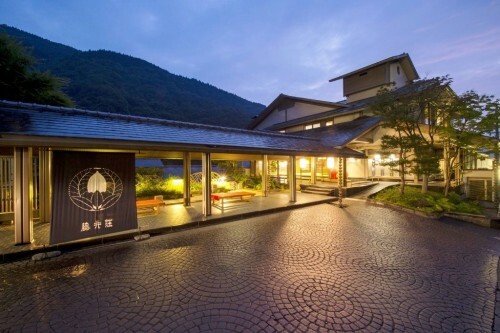 Located centrally in the renowned hot spring town of Yamada Onsen, Fuijiso is one of the region’s most acclaimed ‘ryokan’ (traditional guesthouses), known for its stylish Japanese design, comfort and service including its exquisite meal service prepared by head chef, Atsushi Fujimoto. 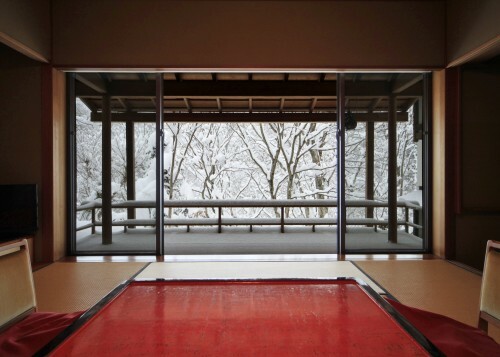 Fujiiso offers guests both Japanese and Western-style rooms, elegantly furnished and overlooking the forested ravine outside. Several rooms have their own outdoor balcony from where you can breathe in the beauty of the Matsukawa Valley, with varying room sizes appropriate for single travelers, couples, and groups of 5 or 6 guests. The hotel’s elegant designs is equally reflected in its stylish timber and granite hot springs, with both indoor and outdoor pools to enjoy. Known for its medicinal and healing properties, the water of Yamada Onsen has been drawing visitors for almost 200 years. 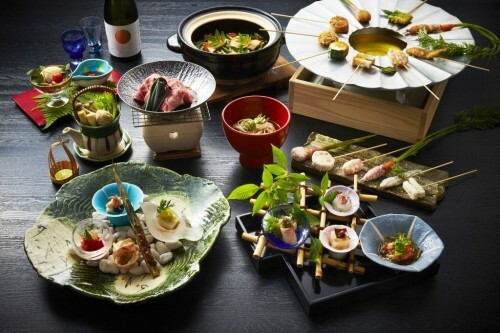 Fujiiso’s pedigree is rounded-out by is acclaimed meal service based around local produce, seasonal vegetables, and wild plants including its speciality, ‘ponpon fondue’, all served against the panoramic background of the surrounding beauty. From JR Nagano Station: take the Nagano Dentetsu (Nagaden) Line bound for Obuse Station. From the station, the hotel operates a free shuttle service available upon request and takes approximately 30 minutes from the station to the hotel.